Cainyx is a gray skin for Masque (formerly ButtonFacade) that will add button style to the supported action bars. This skin is based on Caith and Onyx Redux. 8.0 note: Now you can also download this addon on CurseForge or in the Twitch Desktop App! 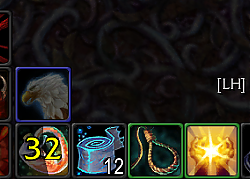 To activate the Raven highlights for Masque change settings: Raven options > Highlights tab > select top "use ButtonFacade". For example, in Masque settings you can choose Cainyx skin for all panels. And separately for Bartender4 - "Cainyx - Raven Highlights". You must have Masque (Formerly ButtonFacade) (Curse link) installed to use this add-on. Please, use at least version 4.2. 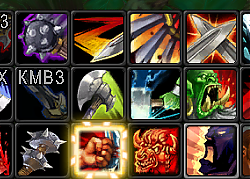 For action bar button highlights you must have Raven (Curse link). And of course you need Bartender4 (Curse link), Dominos or Macaroon. P.S. : And sorry for my English! New Optional "Modded Bartender4 font" - small semi-manual mod. 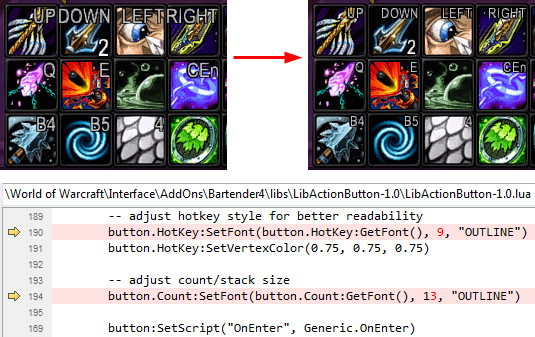 A few years ago I decided that the Bartender4 font was too large and made a small mod to fix it. It looks good only if you use large buttons, as shown on my screenshots. Now you need to login into World of Warcraft and change default Masque skin from "Cainyx" to "Cainyx - Modded Bartender4 font". If you decide to update Bartender4 in the future, then editing should be repeated. If you use Twitch Client to update the mods, then update Bartender4, despite the warning and and then manually re-edit the specified values in the new file. 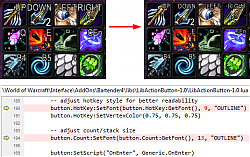 * Small fix for highlight texture path, thanks to Phanx! * Renamed to **Masque Cainyx**. * Updated to Masque's API. * Added **Cainyx - Raven Highlights**. I believe the highlighting feature was removed from Raven some time back, though as I'm not a Raven user I didn't pay that much attention and don't remember why. Still, I use the "Raven highlights" version because I prefer a lighter border than the regular one, so please don't remove it... but maybe rename it "Cainyx Light". But it does not helps with Raven highlights - all i got is white borders instead of color borders. update when u have time please. I'll be adding Masque here shortly. For future reference, tell the users what version to download and point them to the project's main page. 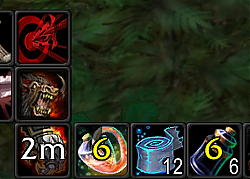 so when you delete old/install new masque_cainyx on your addon list it stats dependency missing. but the latest beta "B: v4.2.370-Beta for 4.2 31 hours ago"
P.S. : I added a description to that link, thanks for the info! Last edited by WoWLoreConfusedMe : 08-27-11 at 02:41 AM. Mind if I sil_ICON your texture? Please, do what you can! !